What's it like to travel to Washington D.C. to learn about climate change solutions and lobby Congress? This short documentary follows a retired veteran from Virginia, a tech writer from Louisiana, and a university student and her mother from Texas as they participate in CCL's June climate change conference and lobby day 2018. CCL’s conferences are inspiring, empowering, and life-changing. 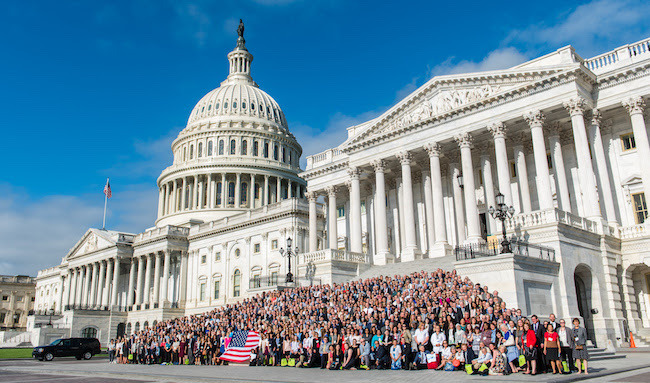 The 2019 Citizens’ Climate International Conference and Lobby Day will welcome more than 1200 concerned citizens to Washington D.C. next June to gain the skills they need to become climate advocates and build political will for climate solutions. We also offer regional conferences around the country from September to March. The Detroit chapter of Citizens’ Climate Lobby, in cooperation with CCL Michigan, is offering climate justice grants to students (18 or older) from Michigan to attend the Citizens’ Climate International Conference and Lobby Day in Washington, D.C., June 8-12, 2019 (including travel days). For an idea of what the conference is like, check the 2018 conference site. The 2019 conference link will be provided when it is available. variety of backgrounds. All students who apply may receive free registration. Additional grants are available on a competitive basis for students of color attending a Michigan university including round-trip transportation to DC from Dearborn, access to free housing with CCL volunteers, and a $200 stipend. Applications are due by May 1, 2019. Semi-finalists will be notified by January 25, 2019 to schedule a video-conference interview with the grant selection committee. Interviews will occur between Jan 25 and Feb 6. Final grant announcements will be made by February 22, 2019. > Attend a national intro call. > Attend a local chapter meeting prior to the June conference. > Attend the Citizens’ Climate International Conference and Lobby Day in DC (June 9-10). > Participate in assigned lobby meetings on June 11 with members of Congress or staff. > Submit written or video comments on their conference experience. For questions, please contact Clara Fang at clara.fang@citizensclimatelobby.org. Daina Robinson and Alexis Thompson from Detroit attend CCL 2018 Conference. Students from St. Andrew’s School in Delaware attend CCL 2018 Conference. Dr. Natasha DeJarnett, policy analyst at the American Public Health Association, talks about the effects of climate change on public health. 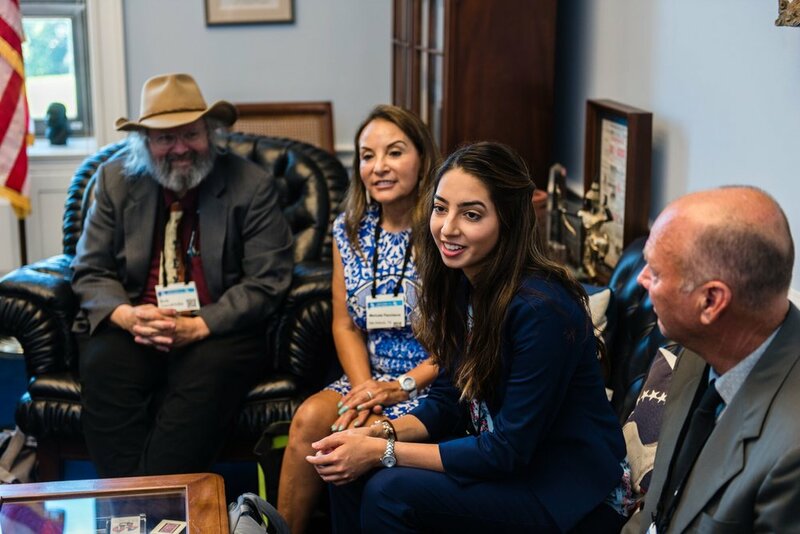 Samantha Pancheve and her mom in a lobby meeting with member of Congress. Group photo on Lobby Day 2018.